My passion seems to be split between collage as artifact (the artistic specimen) and collage as painting (the artistic surface). I revere the pioneering giants whose work must be carefully conserved, but also continue to be impressed and inspired by Cecil Touchon, Jon Measures, Robert Mars, Teri Dryden, Zach Collins, and other contemporary artists who successfully bring a painterly approach to our medium. 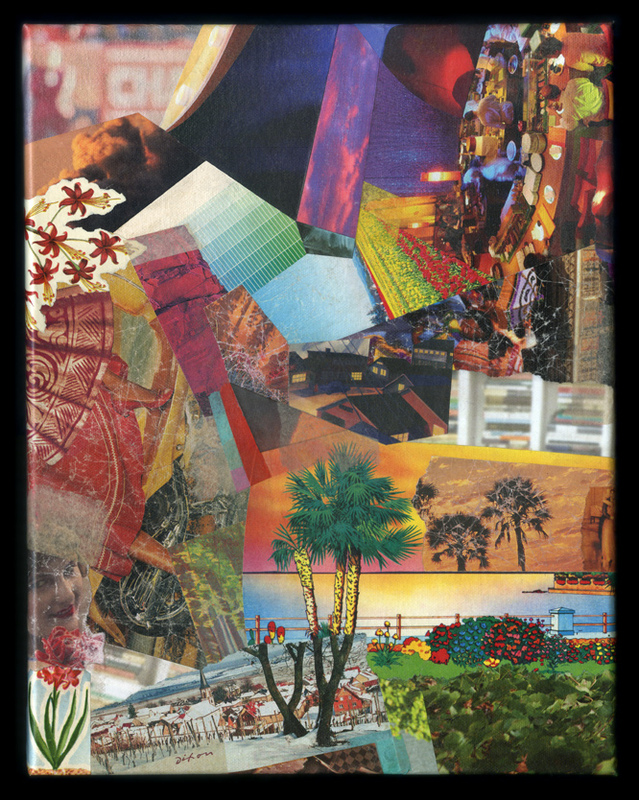 In order to release a mixed-media collage from beneath the traditional glass barrier, it is necessary to find a proper protective coating to balance visual appeal and durability. Because I work with found material, I have had to learn what kinds of ingredients can handle direct exposure (for an effect similar to the painted surface). Some are too vulnerable and require framing behind glass. Both types of artwork are represented in my new solo exhibition, Ingredients Reclaimed. The example shown here, layered above the conventional canvas and stretcher, relies on wet-to-wet contact of adhesive and gesso to firmly seat the “scrap.” Using a series of light-touch applications, a coating of matte acrylic sealant tops off the piece. You are currently browsing the archives for the J Measures category.